I just recently met the author of this site and we exchanged pleasantries on facebook. It started when I’ve read in SWD Kapamilya’s Facebook wall that he was asking people if someone happens to know the first Filipino guy who was featured in ajarn.com’s “Help and Guides/Cost of Living” page. So I hit him with a message and introduced myself as the Pinoy in that article. Lo and behold, we just discovered that we were working in the same province. We did meet a couple of times before as far as I remember when I recognized his pictures on Facebook with his family. We’ve met at church but never said any word to each other. To make the story short, I was asked if I could do a bit of a blog about my life in Thailand as it may inspire other Filipinos who are losing hopes and having troubles finding work. There is really nothing special about me. I am just an ordinary Pinoy working hard for my family just like everyone else. But anyhow, here it goes. I did have a good job back home, having a salary higher than what I am getting here. I do have a son whom I love so much, but things just changed and personal problems just made my life miserable. So I embarked on a flight on the 2nd of June 2013, a few days after my son’s 2nd birthday. I needed to escape from my situation back home. I arrived in Bangkok in the middle of the night and a friend of mine who was already working here picked me up at the airport. I stayed with him while I was looking for a job. It never crossed my mind to work in a province as I would like to have one in the capital city of Thailand. But it seemed not a good time to look for work as the semester had already started and all the schools were filled up. Three months passed and still got nothing. I did some extra classes though, but it was not enough for me and I was running out of money. I only had 200 dollars left so I decided to have it exchanged. However, it was nowhere to be found. I was frantically losing my mind as it was the remaining money I have. It was stolen from my bag which I always leave inside our apartment. Everything crumbled. I was down to a measly 1,000 baht on my 3rd month. I was about to give up, but I can’t even purchase a ticket to go back home. So, even against my will and having no other choice, I accepted a job from an agency to work at Ubon Ratchathani. Coming from not wanting to work in a province was an exact opposite of what happened to me. I worked in a far flung province just near the border of Laos. It was so far that I have to take the sleeper bus from Mochit bus station. 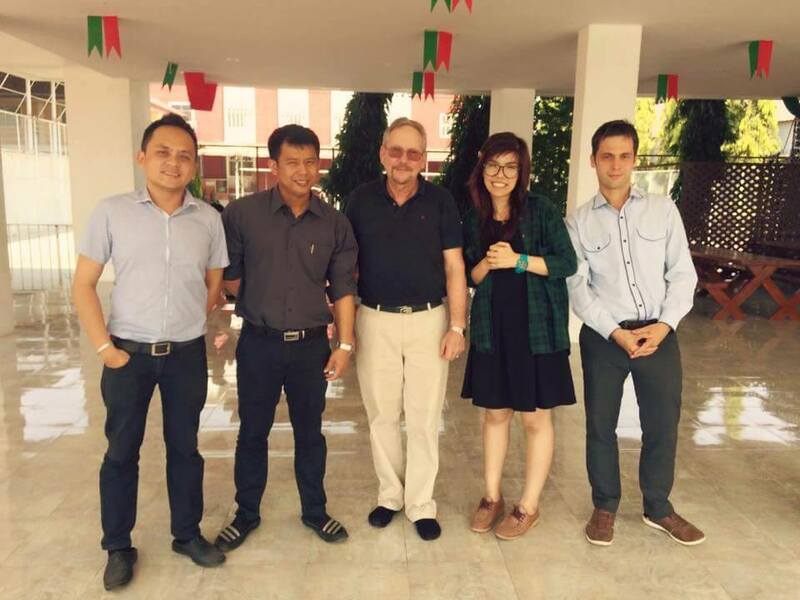 I was offered a contract with a salary of 17,000 baht and 3,000 baht accommodation. And because I didn’t have enough money left, I asked the agency if I could have an advance of 2,000 baht, and they obliged. I was then working in a government school teaching English to Mathayom level. After a week of teaching, the agency called me up and told me that they will relocate me to another province in Isaan the following week as the school where I was at wanted a Native Englsh speaker for a teacher. Having been so stressed with my situation and the visa exits every 15 days to Cambodia( I never went to Laos for a visa run as I was saving my money and tightening my belt), I thought of give up again, but I still accepted the next job offer. On the next weekend, I traveled to Chaiyaphum where I stayed for the next two months. I had never imagined that I would be working in such a remote place. There were no 7/11 stores, the school was in the middle of miles and miles of rice fields, and I was the only foreigner in town. I was about to give up for the nth time but I gave it another shot and reassured myself that I would just be doing this for 2 months, and that my agency will move me to another place. I had my first birthday alone in Chaiyaphum. It was one of those days that you want nothing but to sleep early to fast forward the day and forget it was a special day. Days have passed and I’ve learned to love the community. The locals were so nice and I felt that they really needed me there to teach their kids. 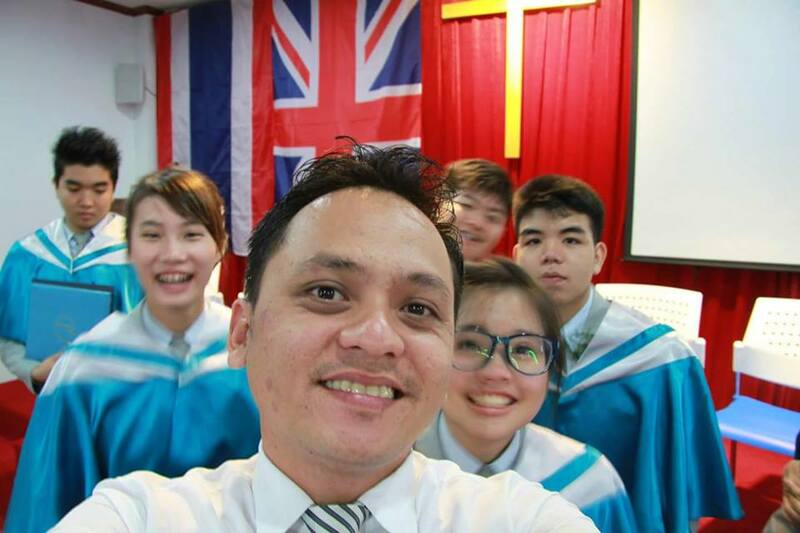 As I am nearing my second month, I was searching for jobs in ajarn.com and I found an International school looking for a Science teacher (I do have a Science degree and a masters). I applied for it and after finishing the contract with my recent school, I landed a job as a Science teacher in Phitsanulok. It was a turn of event for me. My salary was more than I expected, twice of what I had before. The school also issued me a Macbook pro. On top of that, I was just teaching 12 hours a week to a maximum of 7 students in a class. What else could I ask for? 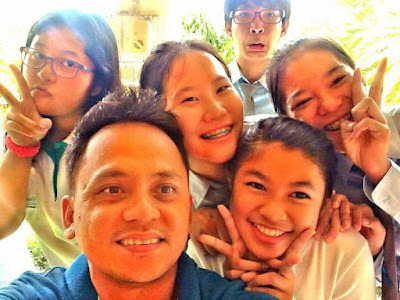 As I was about to finish my second year and was ready to sign a new contract, the owner of the school decided not to have me renewed as well as one farang teacher. We were just given a month’s notice to pack our things. We then left and bid goodbye. We were not given any reason on why we were shipped out. I was again losing hope and was planning to just go back home and end my stint as an OFW. But still, I gave it another shot and applied for other jobs. Many schools contacted me but they were only offering between 25,000- 30,000. I didn’t accept any as I know my worth; confident that I deserve a better pay. I already purchased a flight ticket back home for July 27th in case no better offers will come my way. A week before my flight though, a company run by a farang called me up for an interview, and guess what, I was offered more than what I was expecting. More than what I had from my previous school. What a luck! Everytime I feel giving up, something good comes up. As of this writing, I am now working in Surat thani. I just moved a couple of weeks ago, and I think this is the place for me which I can call home for now. But of course, I still don’t know what the future holds. My employer now is a foreigner who treats us well and knows what we Filipinos are capable of. My flight from Bangkok going here was paid by the company and my visa was also covered by them. Now, I think I am on the right track. I feel at ease and happier. With all the times of wanting to give up, I just prayed and ask our Lord God for guidance and strength to overcome the problems and thanking him for all the good things he had given me. He always answer our prayers. He might not give it at the time we want it but it is always at his time and at the right time. All I can say is, everything happens for a reason and good things will come to those who wait as long as you believe in yourself that you are worth more than what others think of you.